The Louisiane bench, with its steel slats and timeless shape, looks at home in any outdoor setting. 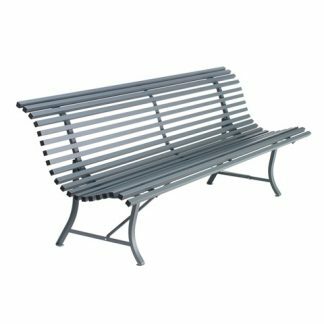 Recalling the classic curved profile of the old wooden park benches, Fermob re-imagine what a garden bench should be. 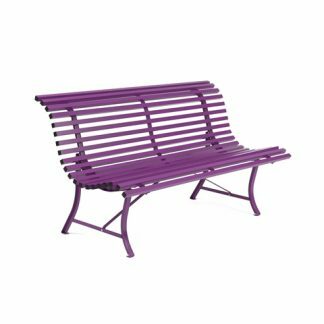 By the same token, it’s not just a park setting that can be enlivened by this bench; why not find a place in your own garden for one? The range consists of two sizes; one bench at 150 cm suited to two or three people, while the larger 200 cm one seats four if everybody is on good terms.